I feel like I should just end the blog right here and now - our best friends are leaving Okinawa! Anyone who has followed my blog in the past can tell you that the Posada's and Perez's have been a vital part of our Okinawan experience, and I can say without a doubt that our lives here would never have been the same without them! Because they met on the plane ride over here (and a Marine Corps tour over here typically lasts 3 years for everyone who is married), it was inevitable that they'd be leaving around the same time as well. The Perez's were the first to go, and although it was incredibly sad, we also spent the last few weeks hanging out with them non-stop, which resulted in even more good times and good memories:) Here are some shots from our last week with Nick and Amanda Perez! Love these girls SOOO much! To say we are going to miss these two is a complete understatement. They are some of the most hilarious, generous, hospitable, and fun people to be around. Anyone who has met Nick and Amanda knows what an incredible couple and what amazing friends they are. We have been so very blessed to have them in our lives for these past three years, and I am so thankful for them! Nick & Amanda - you guys mean so much to us, and we already miss you!! Unfortunately, that isn't the end of the goodbyes... stay tuned for my next post devoted to our week of saying "Sayonara!" to our favorite Las Vegas couple (and their doggies) - the Posadas. 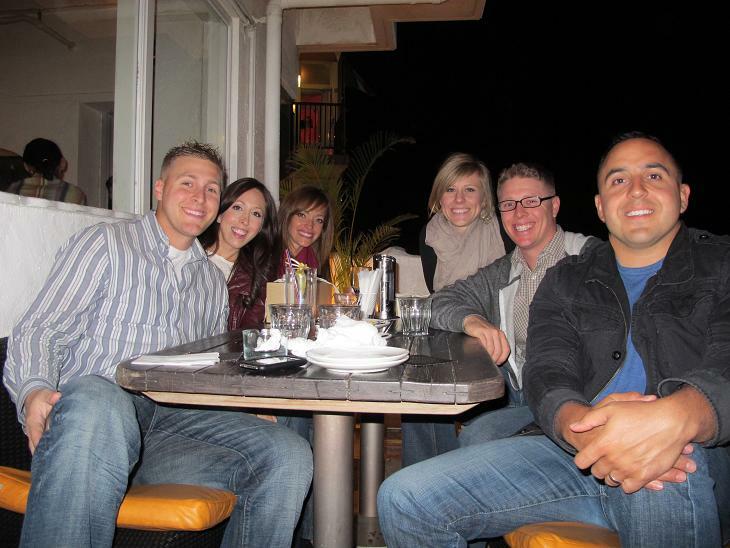 You and Matt are very blessed to have these wonderful friends with whom you share such special memories. ...are the red toes yours?